Selena Lasota works her way around a defender. The sophomore midfielder, who had been in a recent slump, tied her career high with 6 goals Thursday night. Selena Lasota has been in a rut, and after a pair of scoreless games, she decided that enough was enough. 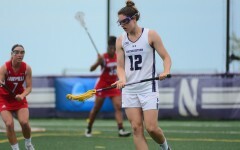 In the first 38 seconds of Northwestern’s Thursday night matchup with Big Ten foe Michigan, the sophomore midfielder drew a shooting space foul and powered the ball to the back of the net on the subsequent free position shot. Lasota’s early goal turned out to be indicative of the remainder of the game. The No. 13 Wildcats (5-6, 1-1 Big Ten) went on to rout the Wolverines (5-8, 0-2) 20-4 in the first of a four-game homestand at Martin Stadium. The game was a much-needed win for the Wildcats, who had dropped three of their last four games prior to Thursday. Lasota was a major factor in NU’s dominance. The 2015 Big Ten Freshman of the Year notched 6 goals in the win, tying her career high. Michigan chose not to faceguard Lasota — surprising, given that Lasota also tallied 6 goals against the Wolverines last year. Lasota said the absence of a constant defender gave her more freedom with the ball, allowing her to drive harder and more often. Lasota’s performance was a departure from how she has played recently. Many other Cats also had breakout performances. 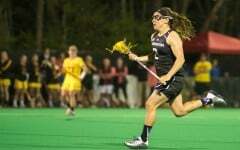 Junior attacker Christina Esposito and senior midfielder Kaleigh Craig both recorded hat tricks on the night. Additionally, Craig had a season-high 3 caused turnovers. 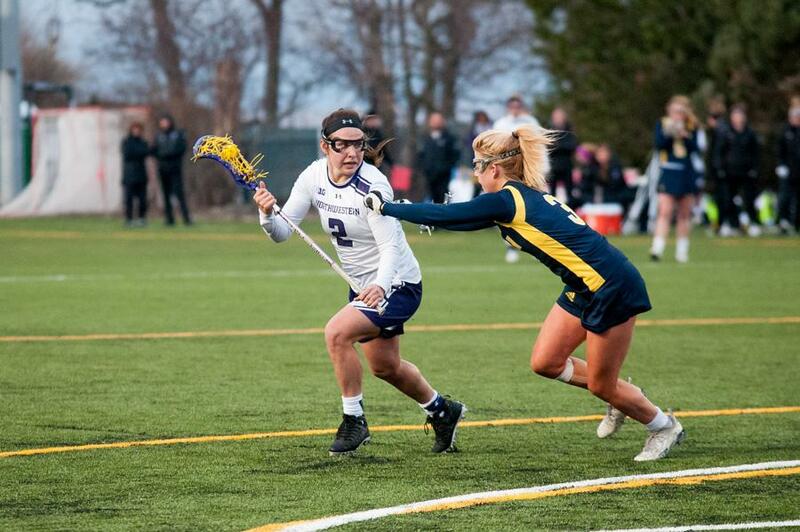 As a unit, NU outshot the Wolverines 38-12 and dominated on the circle, nabbing 19 draw controls to Michigan’s 6. Freshman goalie Mallory Weisse made key saves in the second half to stifle any kind of Michigan comeback and saved half of all of Michigan’s shots on the game. Soon after opening the second half with a substantial 15-goal lead, the Cats began to empty their bench, working subs in until most of the squad on the field was not starters. Lasota said the fresh players really stepped up. “(I saw) the fire and the work ethic of so many people, and determination,” Lasota said. Freshman midfielder Kim Harker, sophomore midfielder Lindsay Darrell and senior attacker Carolina Lizzio all scored their first career goals. In total, the Cats had 11 scorers. Amonte Hiller said it was a complete team effort Thursday night. Harker said the the energy the Cats played with against the Wolverines will be crucial on Sunday as they face No. 5 Notre Dame.